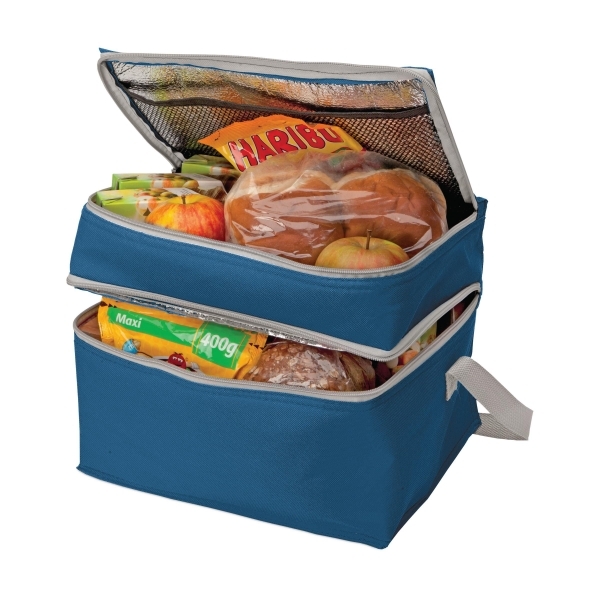 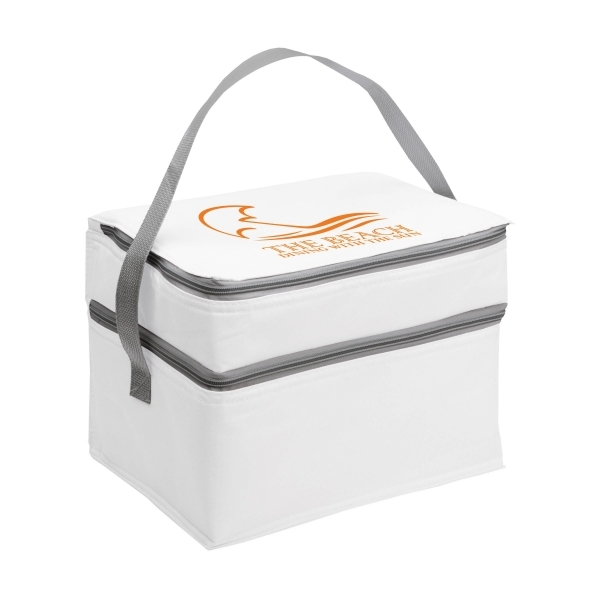 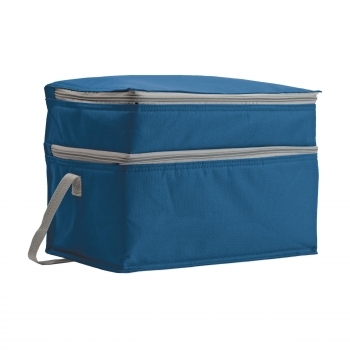 Cooler bag made of polyester with a large cooling compartment, extra cooling compartment with gauze compartment and carrying strap. 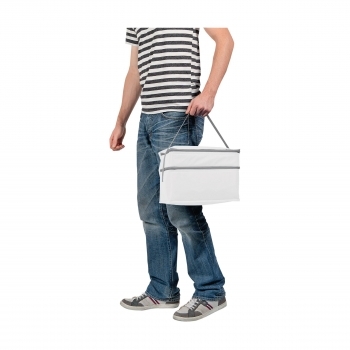 Dimensions: Length 31 cm, height 23,50 cm, width 21,50 cm. Prices incl. 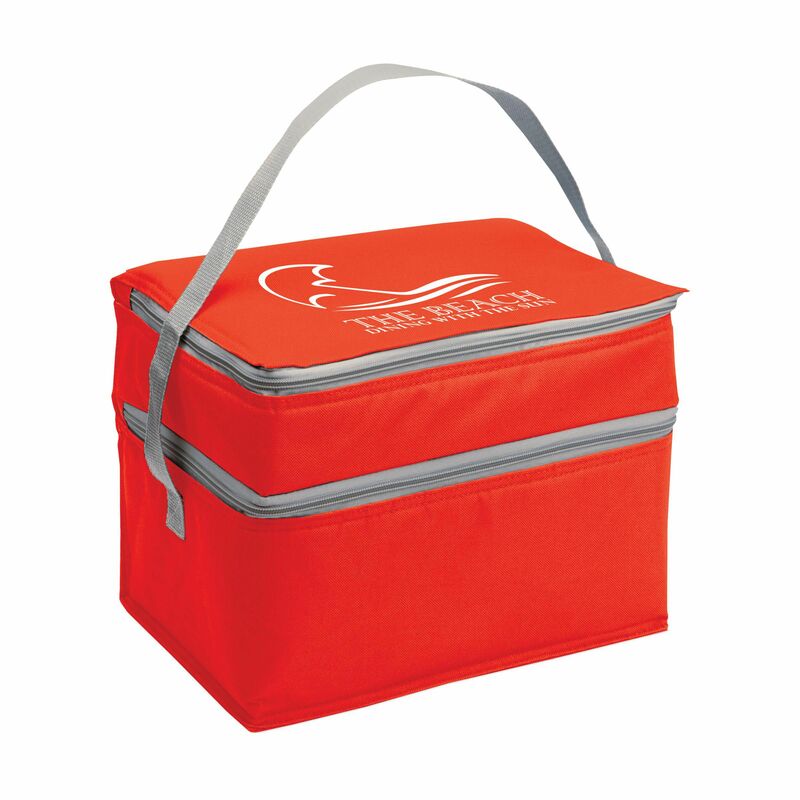 one colour printing on the top on a max. Printing area of ​​220 x 160 mm.